Climate change is having significant impacts on agriculture and sudden changes	in temperature or weather conditions can be disastrous for thousands of farmers across Mexico. 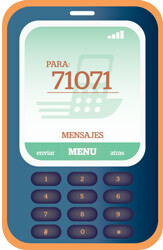 Through the weather service MasAgro Movil provides weather information to users on demand. 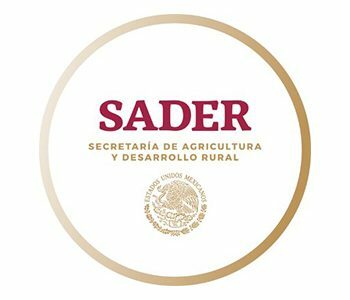 The service is to support farmers’ decision-making in their practices and prevent losses of their crops. This will return the climate of the state capital from which the phone number belongs to (based on the “lada” of your phone). Weather in your area is: 02-Feb[Mexicali ][Dia:Tmin,Tmax]Viento Variable [Ma:8,19][Mi:10,20][Ju:8,20] – the information provided is obtained from the www.meteored.com page. Weather in your area is: 02-Feb[Mexicali ][Dia:Tmin,Tmax]Viento Variable [Ma:8,19][Mi:10,20][Ju:8,20][Vi:7,21][Sa:10,20] – the information provided is obtained from the www.meteored.com page. This will return the climate of the state capital. Weather in your area is: 2-Feb[Puebla][Dia:Tmin,Tmax]Viento Variable [Ma:7,13][Mi:7,9][Ju:6,13]– the information provided is obtained from the www.meteored.com page. This will return the local climate , which has been requested. Weather in your area is: 02-Feb[Sayula ][Dia:Tmin,Tmax]Viento Variable [Ma:11,20][Mi:13,18][Ju:13,17]– the information provided is obtained from the page www.meteored.com. If any of the locations in our database are not available please contact us. Our source database is fed from Meteored, the main meteorology portal in Spanish.